Owls are said to be guardians who guide us through darkness to the light. This may be overcoming fear, ill health or enforced change - especially at times of endings and new beginnings. This wise animal is a reminder that by heightening our senses and stilling our minds we can see through the 'darkness' to a new direction or start. 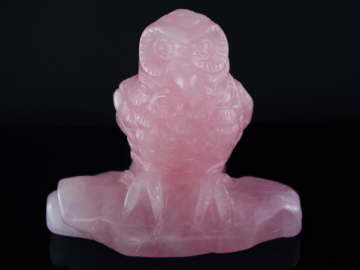 The owl is also known as the 'Bird of Wisdom' and because of its ability to see in the dark, is linked closely with clairvoyance.